I Have close to 19 years of overall IT experience. I have spearheaded globally diverse delivery programs, which includes on-site program management that was based on 24x7 operational support and ‘follow the Sun’ efficiency model. I have extensive experience in the space of Virtual Simulated Learning and have managed multi-million dollar projects for fortune 50 companies. I have also worked on Neural Networks and their applications in generating intelligent simulations for understanding complex robotic assemblies. As a Senior Program Manager, I have created ‘SMART’ operational frameworks for setting up large PMO’s and also integrating on-site and off shore PMO’s together. I analyze needs and requirements (using consultative approach), set internal and external expectations, and at the same time structure the approach and processes to meet/exceed these expectations, establish credibility with all concerned stakeholders, engineer processes, serve to lead, overcome constrains, empower people, provide accurate cutting-edge solutions, and ensure cost-efficiencies. The Idea: Design and build simulation frameworks and methodologies that solve the constraints of traditional and web based teaching methodologies. I Have close to 19 years of overall IT experience. I have spearheaded globally diverse delivery programs, which includes on-site program management that was based on 24x7 operational support and ‘follow the Sun’ efficiency model. I have extensive experience in the space of Virtual Simulated Learning and have managed multi-million dollar projects for fortune 50 companies. I have also worked on Neural Networks and their applications in generating intelligent simulations for understanding complex robotic assemblies. As a Senior Consultant, I have created ‘SMART’ operational frameworks for setting up large PMO’s and also integrating on-site and off shore PMO’s together. 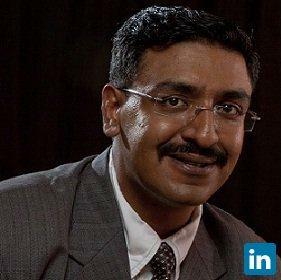 • Responsible for entire gamut of Competency Development for employees in Wipro globally. Spearheading the ‘Program Managers Academy’ for Wipro Global.